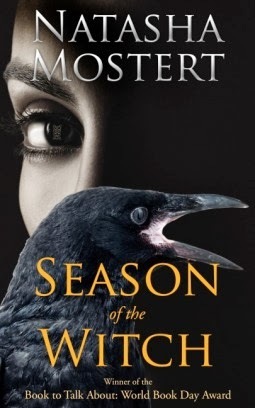 From Goodreads.com In her award-winning novel, Mostert blends alchemy, the art of memory, high magic and murder to create a highly original psychological thriller. Gabriel Blackstone is a cool, hip, thoroughly twenty-first century Londoner with an unusual talent. A computer hacker by trade, he is also a remote viewer: able to 'slam a ride' through the minds of others. But he uses his gift only reluctantly ― until he is contacted by an ex-lover who begs him to find her step-son, last seen months earlier in the company of two sisters. And so Gabriel visits Monk House, a place where time seems to stand still, and where the rooms are dominated by the coded symbol of a cross and circle. As winter closes in, Gabriel becomes increasingly bewitched by the house, and by its owners, the beautiful and mysterious Monk sisters. But even as he falls in love, he knows that one of them is a killer. This was one of those books that just immediately drew me in and kept me hooked until the very end. Ms. Mostert certainly knows how to paint a picture in such a way that you can not only visualize the world she has created, but you can smell it as well. She manages to blend all of the elements of a good book seamlessly into one creation. You experience fear, romance, uncertainty, and the rush of what the characters are experiencing. The characters are also completely different from each other, even the sisters are vastly different which was refreshing to read. They each had their own motivating factors, from Frankie (the ex-lover of Gabriel who asked for his assistance in finding her step-son), to Isodore (Gabriel's quirky friend), you never quite knew how these characters were going to react. I will admit, parts of the book seemed to go on longer than others, and contain a wealth of information that can be somewhat confusing if you're not familiar with the concepts, but overall the story was smooth, and I found myself reading well past my normal "bedtime" just to find out what happened next. Note: This book deals with alchemy, remote viewing, and "mind palaces" and may not be suitable for all readers.